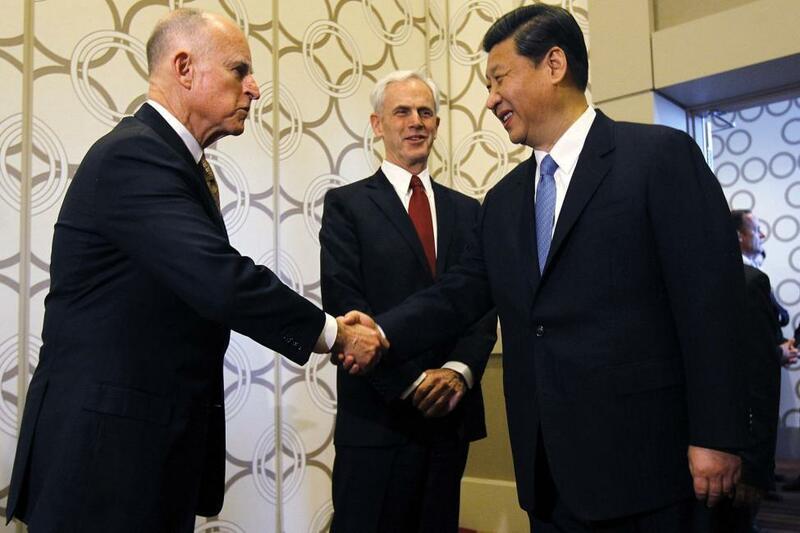 SAN FRANCISCO, Sept. 13 (Xinhua) -- California Governor Jerry Brown said Thursday that California will continue to work with China in reducing carbon emissions as China is directly involved in developing carbon trading systems and building regulations in addressing climate change. 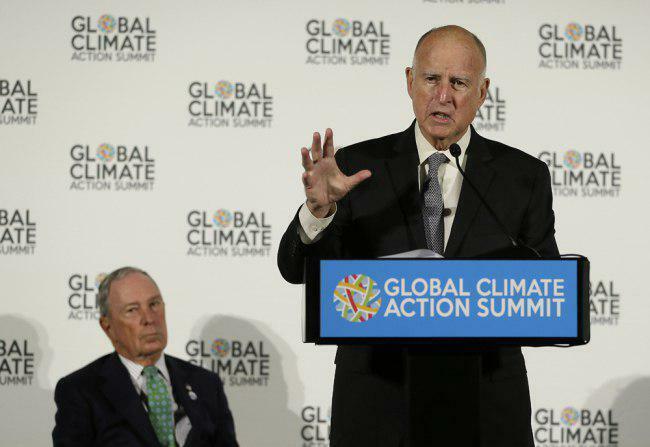 Speaking at a press conference at the 2018 Global Climate Action Summit (GCAS) that opened in downtown San Francisco, Brown said California will continue its partnership with China and place much hope on China in the fight against climate change. "China is promoting zero emission vehicles in a very, very important way and it is the biggest market" of electric cars in the world, he said. "As the biggest market, China keeps ratcheting up requirements for electric cars and hydrogen cars. The American auto industry ought to do that," he added. 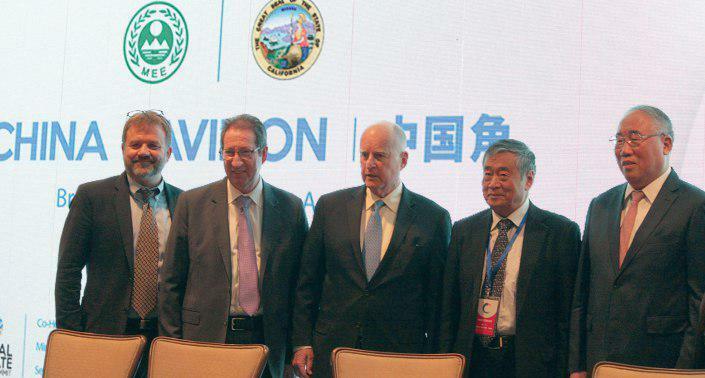 While the Trump administration has pulled the United States out of the hard-fought Paris accord, Brown has been known for his commitment to advancing cooperation between California and China on climate change. On Wednesday he attended the China Pavilion, an affiliate event held on the sidelines of the 2018 GCAS. China currently has about 1.5 million electric cars running on the streets, Brown added. At Thursday's press conference, Brown said the U.S. Congress has appropriated about 700 billion U.S. dollars in defense budget for the U.S. military, and the worldwide spending weapons could be in trillions. If a small proportion of that money is converted, "we could generate funds to invest in places that lack capital to do what's needed," Brown said. The 2018 GCAS gathers more than 4,500 representatives from states, regions, cities, businesses as well as investors for discussions on policy and measures to bring down emissions.